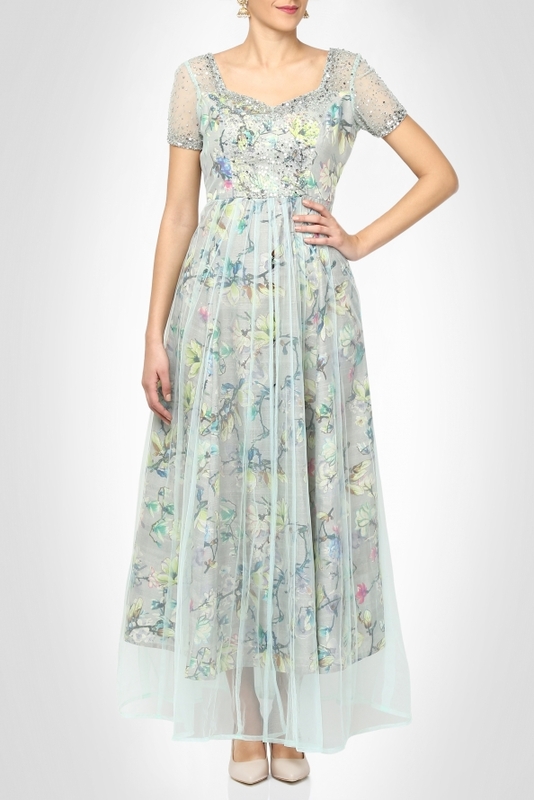 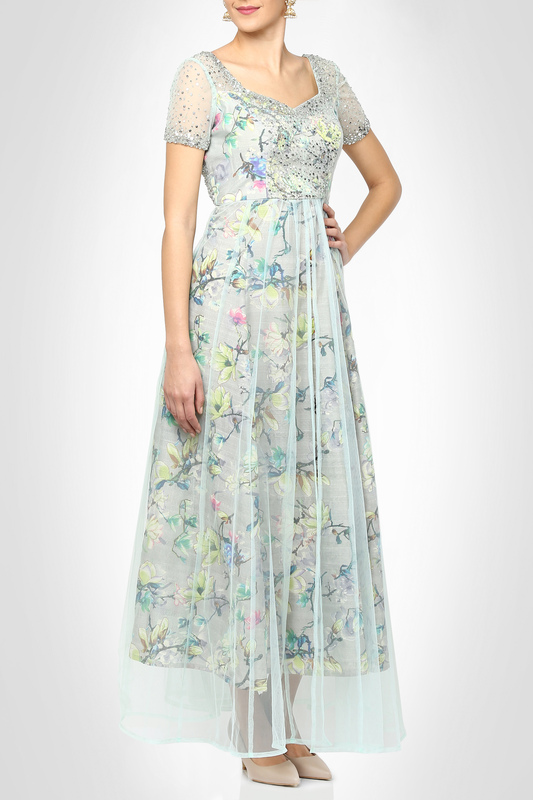 Nail the floral print trend in this simple yet elegant gown. 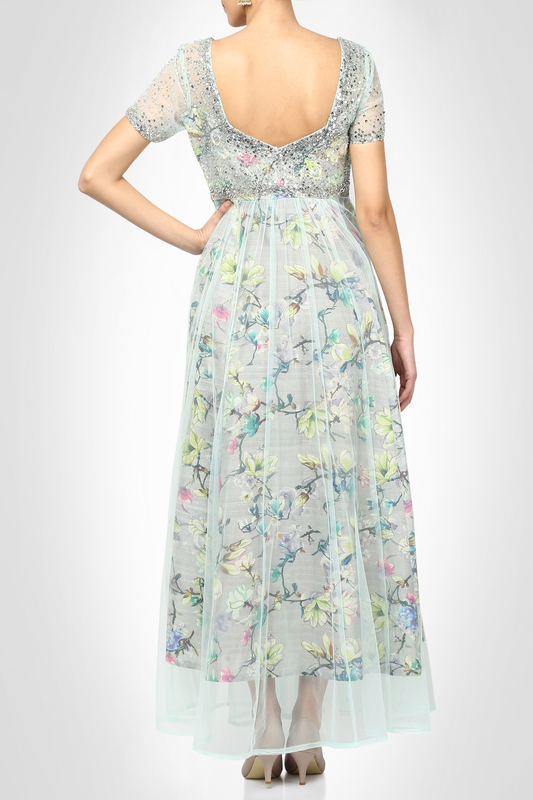 The sequin embellished bodice and flowy net panels over raw silk floral print fabric creates a enticing silhouette. Don this stunner in your soirees and make heads turn the moment you step in.